Would you let your kid drift a twin-turbo, 647 HP, ultra-expensive supercar, even on a snow covered track?. Purple Ford GT On Huge Wheels Doesn’t Really Work, Wouldn’t You Say? This hue isn’t offered by Ford, so it’s probably a wrap, but it’s the rims, which seem too big, that don’t quite fit. The Ford GT was unleashed at the Johnny Bohmer Proving Grounds to see what it’ll do with the pedal to the metal. If Mecum had auctioned off Cena’s GT, the supercar would have gotten its fifth owner in 18 months. 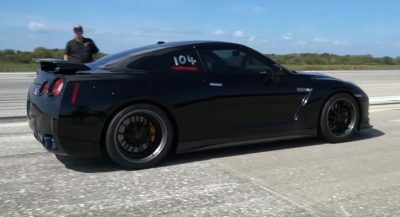 Does The Ford GT Stand A Chance Against The Corvette ZR1 In A Straight Line? The Ford GT seems somewhat underpowered, so can it hold a candle to the ultimate Corvette?. Ford claims a 216 mph top speed, and if the runway was a bit longer, we’ve no doubt the GT would hit it. The Audi R8 came out on top in 95 out of 169 countries. The Ford GT may be down on power, but it can show the Ferrari 488 a thing or two. Is Mecum Selling John Cena’s Ford GT After Telling Ford It Wouldn’t? John Cena’s 2017 Ford GT will soon find its fifth owner. If you’re looking for a lightly used Ford GT, you can forgot about Mecum auctions.